Westendreport has an interesting look at the Glasgow Botanics Bomb, described as “a dastardly attempt […] to blow up the Kibble Palace in the Botanic Gardens by means of bombs” planted by members of the woman’s suffrage movement after enjoying some cake and champagne in the grounds! This also touches on the split made by the Glasgow suffragettes away from those groups further south due to Glasgow’s woman taking a strong anti-war stance, something we should keep in mind this year as the strong resistance to WW1 is minimised or ignored. 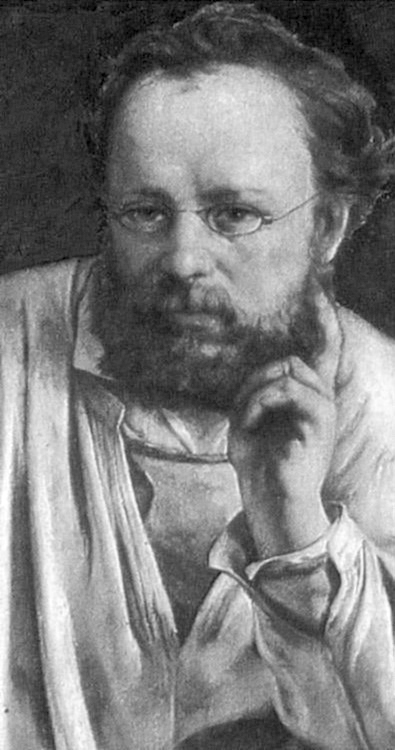 Pierre-Joseph Proudhon is reckoned to be the first person to claim for himself the label of “anarchist” and yesterday was the 200th anniversary of his birth. His most famous statement was, of course, property is theft, still at the heart of anarchist economics but frequently misunderstood. “Property” in this sense doesn’t refer to “personal property” – your clothes, your bike – which a person uses frequently. The property is theft type of property is your buy-to-let, landlordist, “location location location” type of property: the type of property, frequently housing, that is held by someone in order to stop someone else from using it (unless they pay you rent or some other condition). Haha. “Left unity”, don’t you love it. It’s useful to know what the wider left is up to / thinking; I’m not a “post-leftist”. Anarchism originates as part of the workers’ movement and we should keep in touch. But it’s clear that focussing on “the left” instead of the working class (however you want to define that 😉 ) is a massive misdirection. Unions, politicos, if you want a shortcut to understanding why the left is irrelevant to working people today you could start here. Loads of flamewars and dead dogma; 4 different “left unity” projects which will be stillborn because the different groups don’t trust a measure originating from outside them. And why don’t they trust each other? An example. There’s a website called Socialist Unity. A bit odd, for those of us who’ve never believed in political parties as the way to change society, but it has useful information on it sometimes. There’s been information on the recent Bolivia situation, for example, though the best of this is now on IMC Scotland. But someone’s taken objection to my comments on this article. Can’t see them? No, me neither. My points agreeing with “Tom” there, suggesting an event to celebrate women in the Spanish Civil War might better focus on Mujeres Libres than a Stalinist figurehead. Cue outrage, accusations of sectarianism and ruffled feathers, plus: ““Homage to Catlalonia” Wasn’t that the title of a book by that police informer bloke?” Things got really silly and my 4 or 5 contributions (reasoned & polite, I thought) have disappeared. I saw great battles reported where there had been no fighting, and complete silence where hundreds of men had been killed. I saw troops who had fought bravely denounced as cowards and traitors, and others who had never fired a shot hailed as the heroes of imaginary victories; and I saw newspapers in London retailing these lies and eager intellectuals building emotional superstructures over events that had never happened. From “Looking Back on Spain“; that Orwell. What would he think think of the same lies being peddled 70 years on? It might not surprise him, remember what Winston Smith’s job in 1984 is. Amazing to think that even with the internet, people still try to hide the truth. Clearly comments on a blog are not the same as getting shot or imprisoned. Moderating comments is a thankless task and deletions can be arbitrary. It emphasises, though, how vital it is that we build our own media, look after our own memory. We can’t trust anyone else with our history, even if they might seem to be allies. Projects like Indymedia, the Kate Sharpley Library, AK Press, Black Flag, the library at LibCom and Glasgow’s own Strugglepedia need our support if we’re to move on from wave-after-wave of unconnected projects, ebbing and flowing.